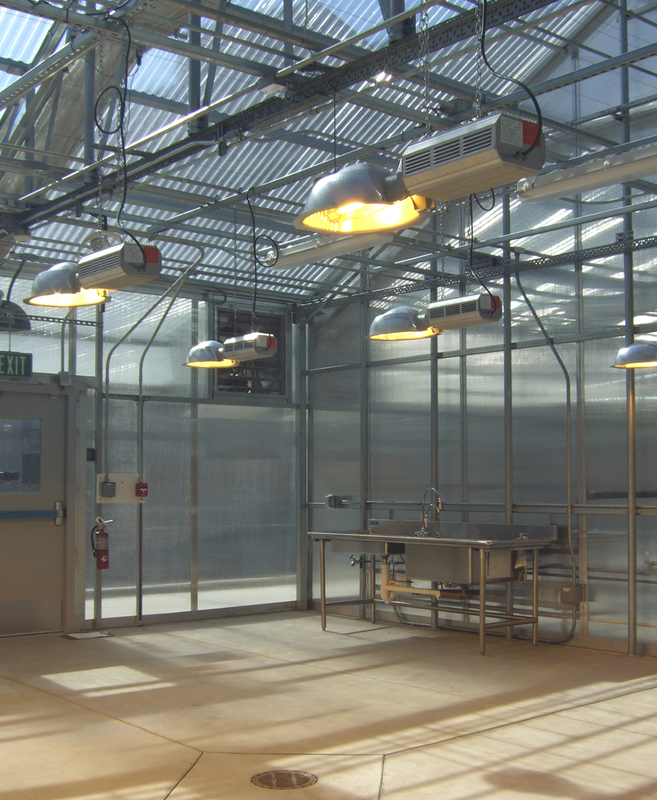 The SFSU Greenhouse Project is a state-of-the-art modular research greenhouse building complex, with multiple climate scenarios for various experimental plant environments. Each of the 12 greenhouse units has its own temperature, humidity, lighting, air, and shade control regulated by digital control system. Each is capable of emulating various natural environments ranging from rainforest to desert climates. Siting of the new building was carefully considered to preserve the adjacent sports field and sub-surface drainage system. In addition, a material supply and drop off area was integrated to provide better access. Utilitarian features of the greenhouses were adjusted to provide universal access for those with varying physical needs. 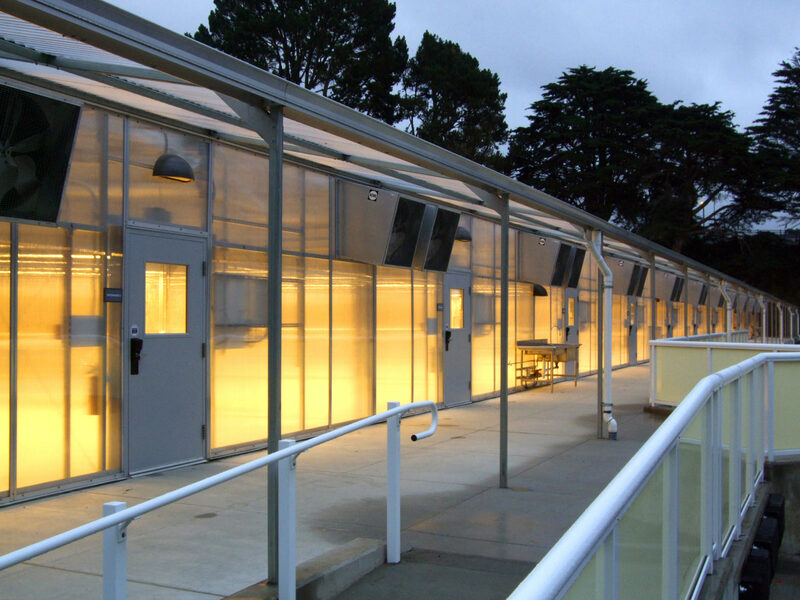 Learn more about the SFSU Greenhouse here.